"What can I say about this place but I love it, quiet peacefu..."
Have a question for Baan Ton Mai Apartment? 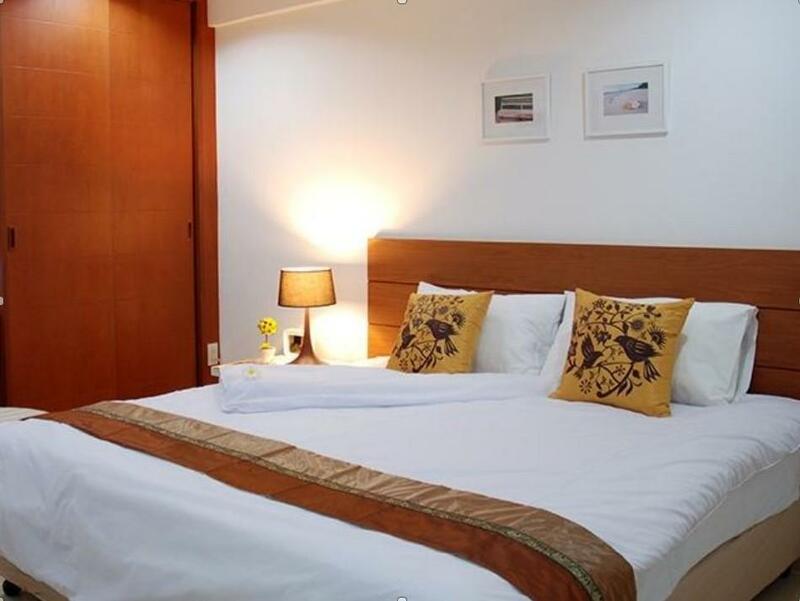 Offering quality accommodations in the restaurants, beaches, shopping district of Hua Hin / Cha-am, Baan Ton Mai Apartment is a popular pick for both business and leisure travelers. From here, guests can enjoy easy access to all that the lively city has to offer. A haven of rest and relaxation, the hotel will offer total renewal just steps away from the city's numerous attractions such as Plearnwan, Baan Sat Liang Pet Clinic, Golden Place. At Baan Ton Mai Apartment, the excellent service and superior facilities make for an unforgettable stay. While lodging at this wonderful property, guests can enjoy free Wi-Fi in all rooms, Wi-Fi in public areas, car park, restaurant, laundry service. Experience high quality room facilities during your stay here. Some rooms include internet access – wireless, internet access – wireless (complimentary), air conditioning, desk, balcony/terrace, provided to help guests recharge after a long day. The hotel's garden are ideal places to relax and unwind after a busy day. Whatever your reason for visiting Hua Hin / Cha-am, the Baan Ton Mai Apartment is the perfect venue for an exhilarating and exciting break away. "There is a quaint coffee shop with excellent coffee/frappe c..."
What can I say about this place but I love it, quiet peaceful and tranquil away from the hustle and bustle of Hua Hin. The location is maybe 300m from the canal road up into residential areas and close to a couple of local ex-pat bars. If you wasnt some peace and quiet this is the place to stay. The rooms are basic but clean, TV, coffee making facilities, plenty of storage and clean bathroom area with a small balcony. There is a quaint coffee shop with excellent coffee/frappe cakes etc. The best part is the fishi in the large pond/lake , I recommend feeding them with the bags of fish food for 10thb and watch them come to life. I travel to Thailand a lot and for the price of this place its excellent however you will need some sort of transport if you are going to the town/beach. Highly recommended! If you wanna test your patient, be their guess. 1. No reception After long drive, you will meet nobody there. No reception, no staffs at all. Only thing you meet is an old man at coffee shop in front of the building. He will help you to call the in-charge person. 2. Unprofessional Then, you have to wait around half an hour for prepare the room by the Manager/Owner. First excuse will be given likes "The staff was on leave, nobody take care the room". Right after with second excuse "Oh sorry, I didn't see your booking list." Noted: This place seems being for Owner's personal vacation while visitor like us is just a bonus for them. This hotel is tucked away in the outskirt of the main city center. I need to get directions from a few locals to get to the hotel. The hotel is facing staff problem. I need to rent a bike to get around. The only English speaking staff was a temporary staff who only knew a few words. this hotel is lovely clean spacious rooms and nice gardens, but the location is approx 5km from hua hin centre a tuk tuk ride costing bahts (approx £5.00) there is nothing around the hotel. the restuarant was not open the nights we where there and no local shop. but cannot fault hotel clean spacious water, kettle coffee/tea provided toiletries in the bathroom clean towels daily. just the location and no english speaking staff.